Utgard, designed for gaming and cooling with lots of room for expansion, silent LED fans and tool-free HDD, ODD & expansion card installation. "UTGARD" - Beyond the world of mankind and Gods, home of Giants and Trolls. DOMINATED by LOKI, the God of Giants. 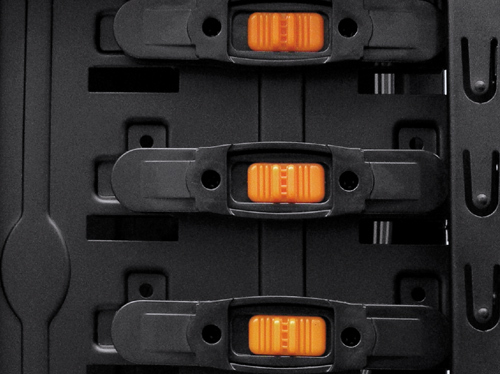 Combining design and features such as coated SECC and steel mesh are spotlighting your chassis when your system is built. 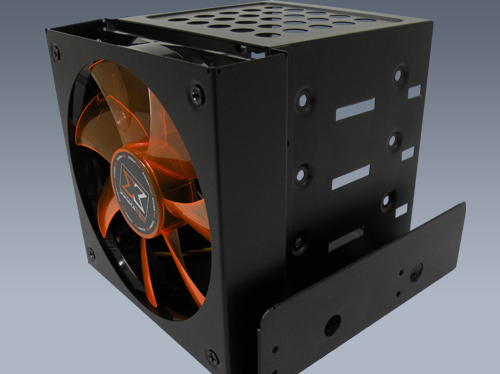 Furthermore this chassis is supplied with 2 x 120mm pre installed fans on the front and the rear, one top fan with the size of 170 mm, but another 6 fans can be mounted in different areas for best possible airflow. 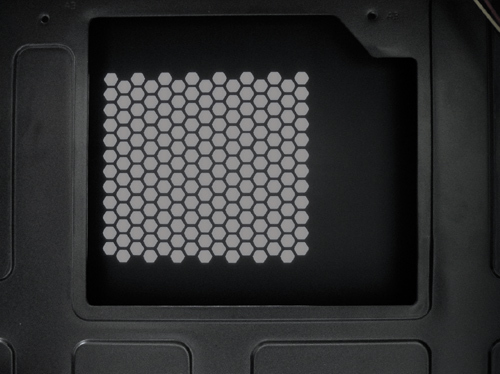 9 x 5.25" bays will be able to house all your optical drives, an external 3,5" device adapter and a 3 to 4 HDD Device. 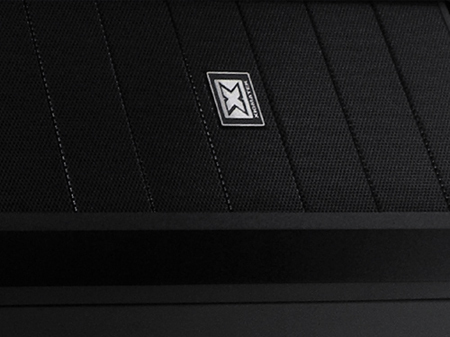 Tool free design and a "gorgeous" outlook are only a few points why this chassis is a "must" not only for enthusiast but also for pc beginners. 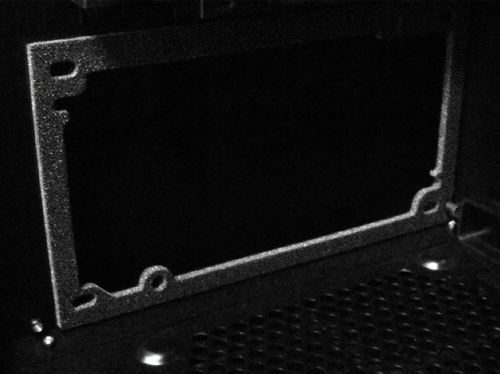 Classic chassis exterior contains pure black coating interior even with each screw. 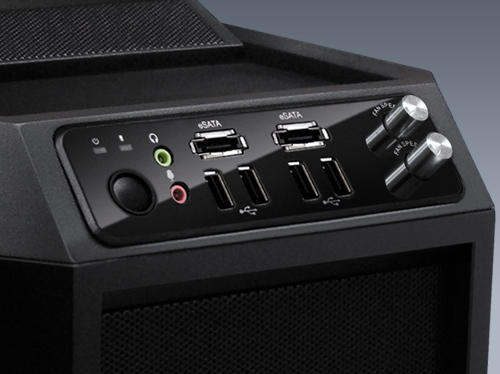 It is more elegant and fancy design than any other mid-tower chassis with ATX, Micro-ATX, ITX form factors. 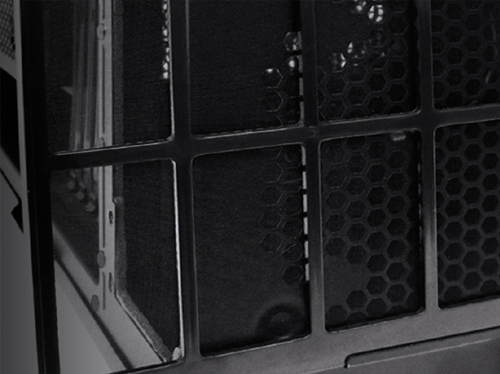 Utgard was designed by gaming and cooling thinking within tool-free hard drives and add-on card installation, easy installation CPU cooler back plate window, four pipe holes for water cooling system and seven cooling fan space at most. 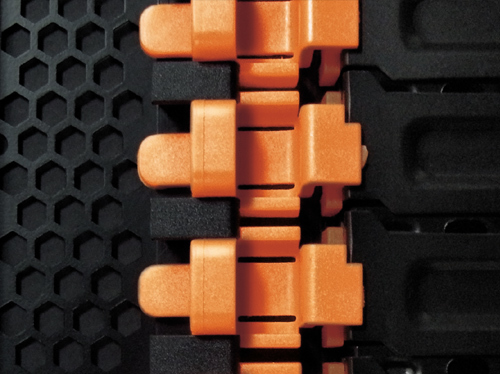 0.7mm SECC chassis body, both side 5.25" tool-less holders, anti-vibration rubber on PSU space, and HDD tray with rubber screw holes are all the user-friendly and system-stable concepts. Screw-less tooling for 5.25" bay installation. First things first. Let's remember we are looking at a case that costs £65, so we shouldnt expect much right? Well in the case of the Utgard you would be wrong. Very wrong. The features it carries are not unusual but to have this many and still keep the price this low is. 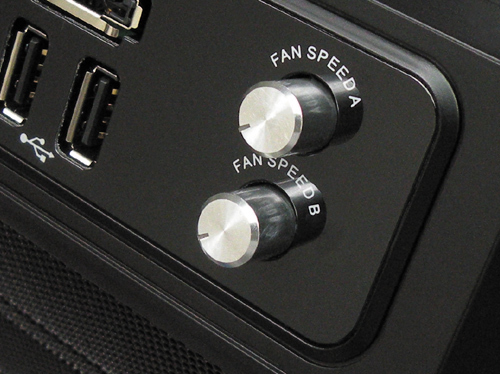 A 2 channel - 6 fan controller for one saves any prospective buyer at least £20. 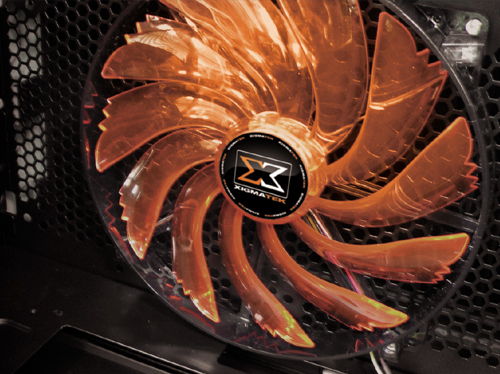 Add the supplied Xigmatec fans and you've saved another £20. The budget for the internal powdercoat, all the cable management holes and the CPU heatsink cut out we are well past the point I would be saying "bargain". 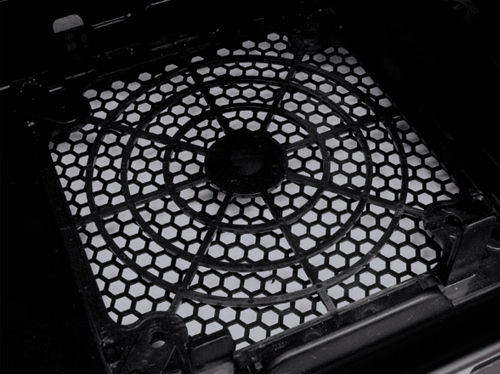 The icing on the cake has to be the water cooling support. 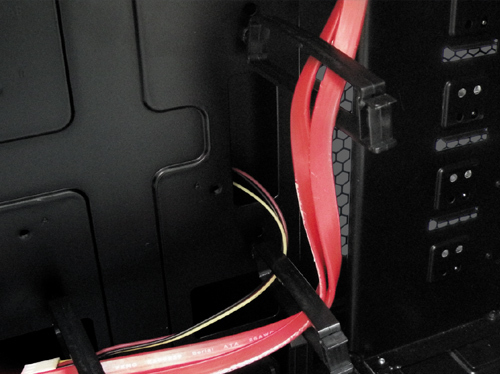 A dual fan radiator in the roof is perfect for even the hottest CPU loop, with the optical bays all down the front of the case you could fit another 240mm radiator. With two 240mm radiators this would mean that you could have a fully watercooled system, without any mods all housed in a case you only paid £65 for! 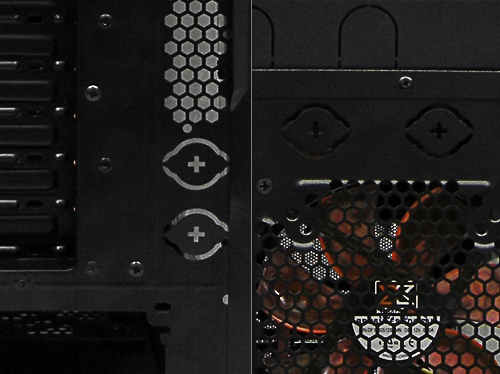 The Utgard is not just perfect for watercooling, but it works very well with an air system too. 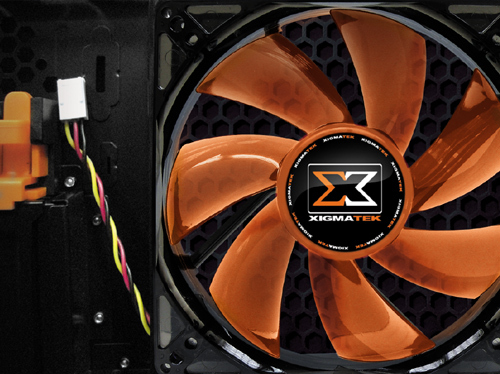 There is great airflow thanks to the Xigmatek fans and the immense mesh real estate the case has to aid its airflow. This all adds up to a case that is trading blows with cases way out of its price bracket. 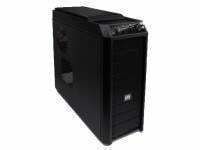 Budget home rig, or decent sized LAN rig, this case is perfect for both, the price, performance. The extensive features all add up to what has to be the best value case we have ever featured on OC3D. Value normally means corners have been cut to keep the price down, but not with the Utgard you get much more than you pay for which is why we are happy to award not only the Value award, but also the Gold "Best in Class" award. Cutting to the chase. If you have £100 to spend on a midtower case and need to fit a water loop, save some money and buy the Utgard. It ticks all the boxes you need, plus all the boxes you want as well. I'd have to say this is THE BEST featured and performing case that I have seen in the sub £100 price bracket. The fact the Utgard come in more than £30 under that £100 marker is nothing short of amazing. If Xigmatek made a full tower version in the same design then I think they would have the market cornered. - Did you read the review? It's almost perfect!